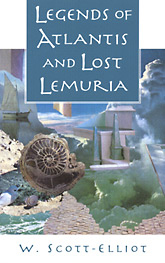 In this book inhabitants of Atlantis and Lemuria come alive--their hopes and fears, their achievements and sins. The submerged continents are described in graphic detail--their location, history, flora and fauna, human inhabitants, customs, science, religion, and contact with advanced teachers. The information comes from the writings of Plato, from the esoteric tradition as set forth in The Secret Doctrine of H.P. Blavatsky, and from the clairvoyant writings of C.W. Leadbeater, one of the most remarkable sensitives of modern times. The result is a modern expression of a timeless myth in which everyone now living has a role. Color maps are included in the book.